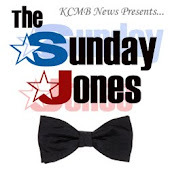 Ladies and Gentleman, Boys and Girls, the scores are in, and for the second straight year since their inception, local Kansas City dance band The Wedding Crashers came in a close second place in Kansas City's "Best Band in Kansas City" competition. Once again, and for the 4th year in a row, The KC All Stars took home first place, but this year The Wedding Crashers were right on their heels losing by only a small margin. Where did these guys come from? We had a chance to check out The Wedding Crashers band at a show last month at The Uptown Theater and these guys can really put on a show. Even though they have only been together for just 2 years, you wouldn't know it by watching their performance. Each song was seamless and their light show was over the top. What we really enjoyed was the way The Wedding Crashers could perform old school songs and then turn around and perform the most current hits on the radio back to back without losing a single person off of the dance floor. The dance floor remained packed for the entire concert and they even got our old butts up to dance on a few songs - and we DO NOT usually dance. The female vocalist has a KILLER voice, that girl is going places. We don't want to give away the entire show, but let's just say that there are some great surprises. Hard to resist these guys as they have what it takes to be Kansas City's next top band. Keep a look out for The Wedding Crashers crashing a wedding or concert near you! You do not have to sign up to comment! If you have any trouble publishing your comment, try hitting the "Preview" button to publish from there. 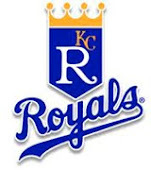 Also stay tuned for info on the 2012 MLB All Star Game at Kauffman Stadium. 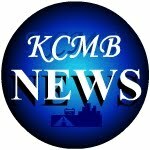 Thanks you from Kansas City News! Absolutely! These guys deserved it, we saw them at Town Centre Plaza for the summer concert series and they were incredible! Congratulations to The Wedding Crashers band for taking second place. Love The Wedding Crashers! The band played at our wedding in October and people are still talking about what a great night we had. Congrats to them. The Wedding Crashers ROCKED at my cousin's wedding. Anyone know where they are playing or where to find their schedule?? Our group went out to see these guys last month and we haven't danced so much in years! We usually go to Power and Light but we were so glad that we went to The Wedding Crashers show instead. Truly amazing and fun! Top of the line fellas (and lady). What a show, I will always remember dancing with my lovely fiancé at Shannon and Michael's wedding last summer. You guys were playing "Let's Stay Together" by Al Green and it was the best "Wedding Crashers" song of the night. When we tie the knot next year and are looking for the perfect wedding band, we will be giving these guys a call first. We're STILL dancing over here! What a great new band. Hope to see the Wedding Crashers again soon. 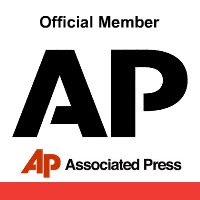 Kudos to a really good band. The Wedding Crashers really delivered the goods at our friend's wedding at The Madrid Theatre. 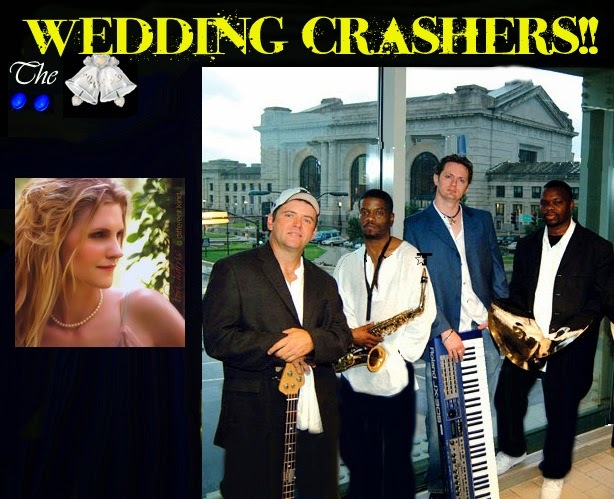 We highly recommend The Wedding Crashers to our couples who are looking for a great live band for their reception. They have quickly become a Kansas City favorite! One of the freshest new bands out there, a new age of wedding bands has emerged, and the Wedding Crashers are leading the pack. With no doubt, the band to see in 2014. Our cousin Haley used them last week at The Intercontinental on the Plaza and they took the house down.